Kindness is a fascinating subject. Simple acts of kindness like picking up litter or giving a compliment are easy yet it always comes as a surprise. Random acts of kindness cause even bigger confusion for people—why this person; why this action; why this moment? In his sermon Loving What’s Kind, Chuck Swindoll gives a few reasons why we aren’t kind. If I’m honest the reason I am not blanketing the world in random acts of kindness is because I’m wrapped up in myself. I’m so focused on how I feel and how other people impact me I don’t even notice the opportunities to be kind presenting themselves each day. Kindness is a quality God wants everyone to exhibit (Micah 6:8; Matthew 7:12). And there are more benefits than the good feeling of making someone’s day. Matthew 25:31–40 reminds me every time I am kind to someone who is overlooked or ignored I am also being kind to God. If that’s not motivation, I don’t know what is. 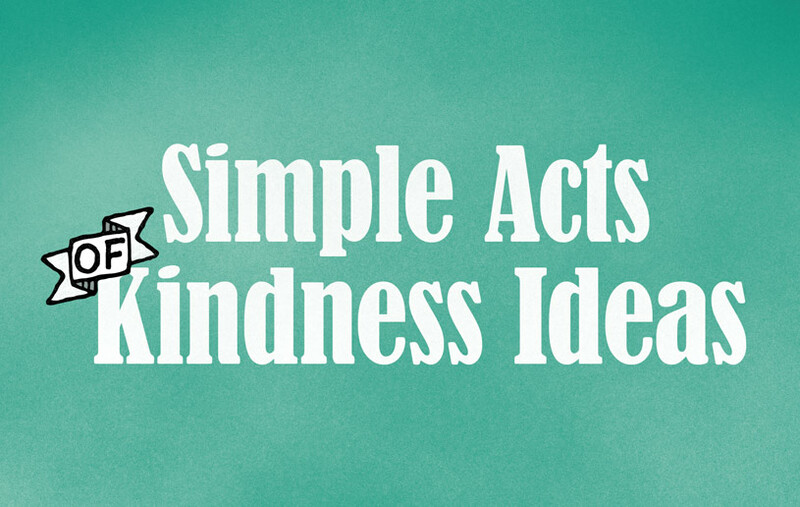 Here are some simple acts of kindness ideas I’d like to incorporate into my daily life.